Deconstructing form: the bridge between "learning" and "applying"
In just over a week's time three of my students will be departing for Taiwan to train directly with my teacher, Chen Yun Ching. Two of them will become third generation bai shi. I am deeply honoured to have my students recognised in this manner and proud of all three of them. I know that they are going to have an amazing, if not life-altering, experience. I am saddened that I won't be able to be there with them to see it happen, but life does not always deal us the cards we would like to have and I am grateful for those that I have previously been dealt! So in the last few trainings I have been placed in a bit of a quandary: how can I best prepare my students for their trip? After all, I know only too well what sort of thing they can expect. They can expect to be thrust into an intensive learning environment, with new forms, techniques and concepts being thrown at them like grapeshot from a cannon. In order to absorb as much useful material as they can, and hence get the most out of the experience, they need to be prepared. They need to know as much as I could teach them in the preceding months. But they also need to be able to learn fast - as fast as they have ever learned. If anything, this is the most important part. The first part is something that is easily addressed in a pedagogic sense – and to a large extent, we have: in the previous three months we have covered as much of the material as time has allowed, including taijiquan, baguazhang and xingyiquan. 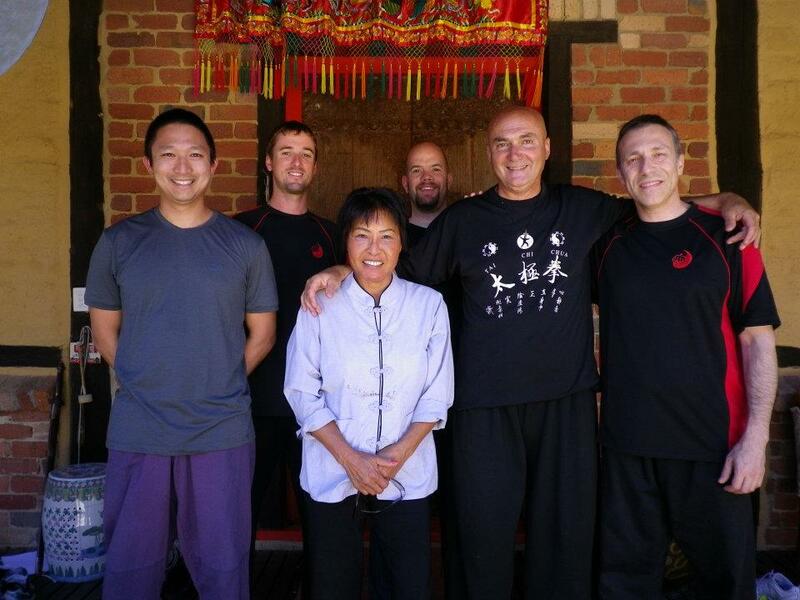 We have gone through the feng quan "bridging" forms (containing elements of all three internal arts) and we have studied the Chung Yang sword form. We have trained in push (or "listening") hands and we have looked at applications of all the techniques. But with two or three lessons to go before the trip, how is their time with me best spent? What is it that will most be of use to them? Should we go through the feng quan forms one more time? Should we go through the xingyi 5 elements where I refine their technique yet further? Is memorisation, repetition and physical correction what they need right now? This sort of training may have served them well in the lead up to their departure, but it only serves to refine what they already know. How can I help them prepare for material they have yet to learn? Well, I know for starters that the material they will be learning in Taiwan will almost certainly build upon their base of existing knowledge. To absorb the new material, and get the most out of it, they need to know their base inside out. They will need understand the concepts inherent in that base, both intellectually and (most importantly) subconsciously/intuitively. They will need to be so familiar with the essential concepts that they can recognise them whenever and wherever they arise in the new material, albeit in a modified way. In short, they need to know their base well enough to see it in an adapted form, and adapt it themselves, without a moment's thought. This means that they need to own the material – it needs to be part of them. There can be no disconnect between the forms/techniques and the students. They, as individuals, need to be adaptable. Achieving this sort of "ownership" of techniques or "adaptability" doesn't just mean that they should be able to do their existing forms accurately and correctly. 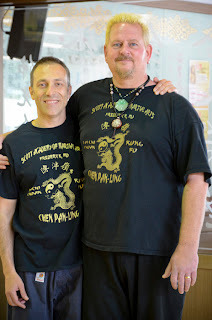 Having an exact "pao quan" from xingyi just testifies to one's ability to mimic form, parrot-style, not necessarily to any "deeper", more intuitive, knowledge. No: there must be something more. Whether their form is entirely "correct" or not, the concepts inherent in that form must arise subconsciously and reflexively in their movement. They must occur spontaneously. So, faced with this dilemma, last Saturday I decided not to go down the usual route of, say, examining their xingyi 5 elements in detail, requiring endless repetitions with stops for correction. I decided not to go through applications exhaustively. 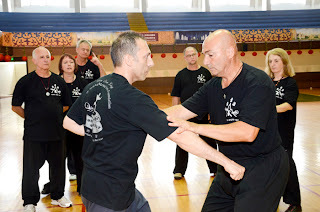 I have always thought that "showing" an application, and even practising it, does not bring a martial artist much closer to "owning" the material. After all, I could show you a million and one applications of formal movements. You could practise them endlessly in a series of "standing start" drills. But would this help you bring them out as spontaneous reactions (what I've called "situational reflexes") – particularly against an aggressive, resistant attacker? Not really, in my experience. There needs to be a bridge between "form" and "function"; a bridge between learning and applying; between practice and reflex reaction; between something that you've been shown and something that you will naturally do. The bridge is this: an intuitive or subconscious understanding. But how can you get that? 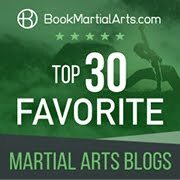 I've previously discussed how a traditional martial artist learns form for the sake of absorbing concepts; how once these concepts are absorbed into your subconscious and become part of your "situational reflexes", they can (and should) be abandoned. They will have served their purpose. This is why I adhere to what I've previously called a "sequential relativism" in traditional martial arts study: you learn new forms based on principles you've learned in more basic ones. As you go further and further in your study, you slowly change the material on which you're focusing. As useful as it is to go over foundational material occasionally (if not regularly), if your study is confined merely to basics you're guaranteed to get diminishing returns. Necessarily, you need to avert your attention to new material – material that challenges you, that inspires you that provokes the reaction "I can't do this! Why the heck not?!" It is only when you reach that point that you know you are learning at a maximum rate. Yes, one could study a grade 10 physics textbook for one's entire lifetime, trying to ensure that one will get 100% in any test arising from that material. But this is hardly a productive use of time. You might only be able to score 60% in a test on the material – but it will be time to move on to something that is more advanced. You'll see that grade 10 material again anyway; the higher stuff assumes you know it. As much as you should pause to master something – to get the "magic from the small things" – there should also be an impetus driving you forward. So, faced with my student's current performances of their existing forms, how would the remaining three lessons be best spent? Probably to their great surprise, I didn't require them to drill their forms on Saturday. Instead I got them to experiment; to start "deconstructing" parts of the forms that they knew and put them back together again. The video above is taken from that lesson. In it, I took two related taiji movements known as "part wild horse's mane" and "fair lady works at shuttles" and combined them into a short sequence. Initially I got the students to practise this sequence repetitively along one line. But as they became more familiar with it, I encouraged them to morph it into a more "free form" activity – to "play" with it by changing the angles, and even the stepping pattern so as to turn/pivot into infinite angles and directions. I might pause at this point to note that the short sequence I'd created might, at first glance, appear relatively easy. For a seasoned taiji student it should be basic – after all the movements are taken directly from the taiji form, with one preceding the other in the "long form" sequence. Even with the 2 beginners I had in the class, it might be viewed as 2 distinct and simple movements. How hard can it be? The truth is this: it is very hard. It is "advanced". If you doubt me, I invite you to try the taiji variant at the start (from 0:16 onwards). Why is it hard? Because it requires you to understand the very principles at the heart of the two movements. You need to have them ingrained as part of your psyche before you can execute them fluidly along the same line – never mind with variations in angle/direction etc. (see from 3:45 onwards). 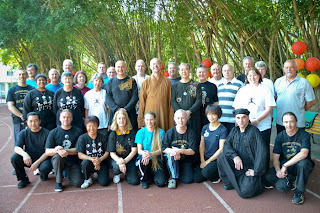 After the taiji "drill" I got the students to examine a bagua alternative (see 0:43 and 4:22), then a xingyi one (see 0:43 and 4:34), to see how the other internal arts handled the same situation in different ways using subtly different concepts and principles (see 2:30). Then finally I got the students to combine the 3 different drills, executing each one randomly in free-form "play" (see 4:55 onwards). "Ah," you might say, "but how is this different from learning forms? Isn't this is just another form that you've taught yourself?" No, it is isn't. In fact, I routinely perform such sequences in my own training, whether formal or "informal" (what I call "kitchen training" which I will soon address). I try to perform such sequences spontaneously – without any planning at all – with an emphasis on maintaining a flow and pulling in techniques from all three internal arts (as well as the external arts that I study). In this particular case, during my lesson planning I randomly chose two movements from taiji (ie. "part wild horse's mane" and "fair lady works at shuttles") and I combined them. I did this in about 2 minutes the night before. I did the same for the bagua and xingyi variants. They were hardly rehearsed; I spent all of maybe 10 minutes planning the lesson. When I performed them in class they were almost entirely "new" to me. In fact, I hadn't even considered a more "free-form play" until just before the class. I was learning too! So what was the net result? What do I think the students gained from this practice? I hope they acquired some adaptability. I hope they started to understand the deeper concepts inherent in these movements; the way they connect; the way they can morph or "blend" into different techniques. We could have done this with practically any movements, but these worked well enough. In fact, I had a "back-up" plan involving a sequence using the taiji technique called "single whip" but we never got to that. In the end, it doesn't matter what "formal sequences" you choose: after a while you start to see the same concepts and threads emerging; you start to see the common patterns underlying human movement. Eventually you start to understand the relationships between movements – and later this "understanding" becomes intuitive. Only when this happens do you know that you're on the road to "owning" the material; that the form is finally fulfilling its function; that you've started moving from "learning" to "applying" in a truly reflexive, spontaneous way. It is only then that you should expect to see the movements arising against a resistant partner. Up till then, you'll almost certainly be using the same tired movements that comprise your default – or worse, some form of "faux boxing"! "I can teach you what little I know. But I can't teach you what I don't know. And the most challenging part of your trip will be the unknown. Your best way of preparing for the unknown is adaptability. And that is what we were trying to develop today." I wish my students a safe journey, an enriching, fulfilling experience and I wait (enviously, but proudly) for their return so that perhaps they can teach me some of what they have learned! 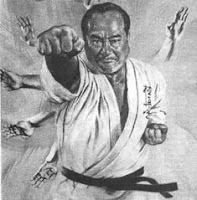 I've known some martial artists that have told me that they may think about modifying some aspects of a form, but that they dare not deviate from the form itself. These may have had as far as 3 decades of karate or TKD experience in the US. They seem uncomfortable going their own way. They often recommend students get teachers rather than undertake any kind of self study or independent work, which seems to make sense for beginners that can't even stand on one leg. But I get the sense that the instructors are too attached to the concept of having someone else teach them and show them how it is done: and in teaching others, they are simply passing on what they themselves memorized. They have not exercised the ability to come up with their own solutions to problems that only they have seen and investigated on their own initiative. The concept of getting good requires work. If people sit around and are always looking for other people to "Teach them stuff", obviously that ability to work things out on their own will become weak and atrophied. After a decade or two, it becomes a habit: a bad habit even. As people get older, they don't like changing their ways to begin with. Thus it is best to start early, while individuals are still young or at least mentally flexible. Once they get into a groove they find comfortable, it's hard to get people out of it. They've been wearing that groove with decades of repetition. They may not even want to advance to a different level. 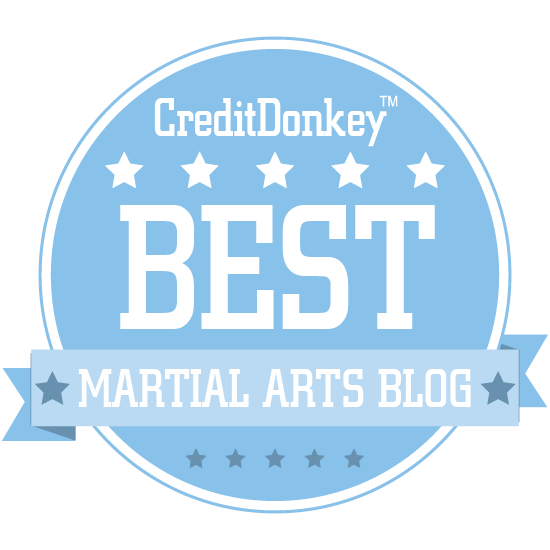 I'm not sure how hard it would have been for me to adapt if I first learned martial arts, then had to fix the habits of several years of training ex post facto. Because currently it was not particularly hard to integrate the joint manipulation principles I learned from Chris over at TFT, to aikibujutsu (Yoshinkan aikido). When the nikkyo thing didn't work, it was because the target arm was bent at the elbow, and not straight. In that case I would do a sankyo twist, which either way would move the torso via the elbow and shoulder. If the elbow flairs out, that is an easy armbar or ikkyo. 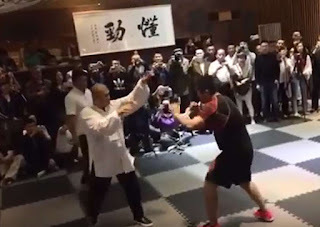 One of the more experienced fighters in that dojo told me that either he couldn't get nikkyo to work or the other students couldn't make it work on him. 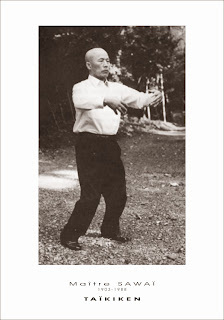 He then proceeded to demonstrate, and I noticed he went out of his way to bend his elbow in and out, so that applying nikkyo downwards on his wrist would simply set a minor leverage equivalent to a 10% sankyo. I would have to bend it coming from the side, not straight on, if I wanted to apply nikkyo. So I immediately told him that this technique requires the arm to be straight. That if it wasn't, I would use sankyo instead on the wrist. Or I might just not bother and clear/sweep/trap the arm via the wrist, and use my other arm to hit the liver over and over. I still had to bring his wrist, one or two handed, to my chest, connect it, and use my body weight to apply downward pressure. Although I was doing it so slow that it might as well be a glacier moving. 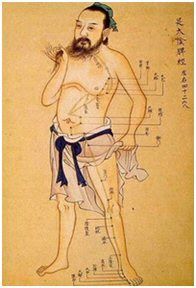 He was forced to react and go with the flow, thus making the technique "work" more or less. 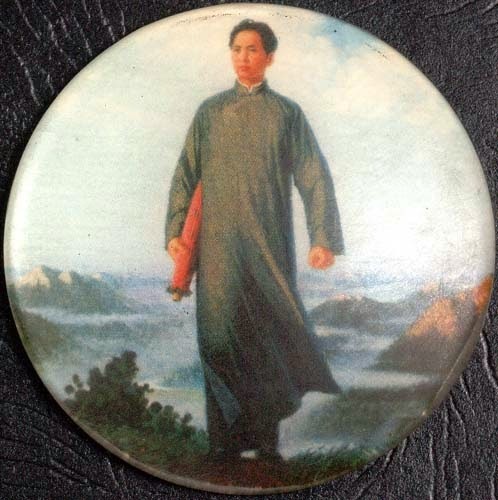 This guy has had a substantial amount of external training with staff and TKD kicks, so his wrists weren't weak. Many people might not be able to apply enough leverage just using their wrist and arms. I could visualize up to a two part hybrid lock, something that used 2 of the six base locks. Anything more than that and it got too complicated to visualize, so I just focused on the movement, sensitivity, contact, and momentum. A lot of my fellow students often spent a minute or two, just trying to recall what the wrist lock looked like in our current drill. They've been here for months if not years. Why are they still trying to recall it? Using the six base locks, makes things so much easier to visualize internally. Although learning the six base locks and how they worked against every human joint, did take awhile. Although I'm not sure just exactly how long. 3 months? 6months? A year? So in retrospect, I think Dan's highlighting of what he calls "adaptability" is something I believe of crucial importance, not only in terms of overall skill, but also in a beginner's base attributes and learning capacity. If a beginner of anything can obtain this or even partially obtain it, progress will be much smoother and more efficient. Instead of spending 10 repetitions just memorizing something, they would have spent those 10 repetitions both memorizing it and thinking their way through it. Thus that's 10 extra reps that won't have to be repeated at a higher level. And it will give them more years to spend absorbing and considering the potentialities. Often times the mind is harder to change than the body for young students at least. Thus sometimes it just takes a few months for a student's mind to change their paradigm. By front loading a student's capacity in the beginning, future issues are distributed in terms of difficulty. 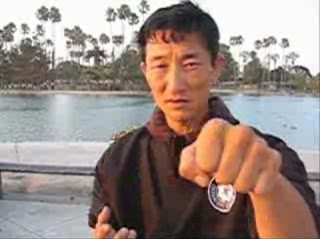 Of course not many people are able to achieve a higher understanding early on in their martial art careers or what not. Too much material tends to overload people's data processors. They won't be good for anything until they get a hard reboot. The fastest way I ever discovered to see if I had something integrated as my own knowledge or whether I had simply memorized it, was to give myself an open ended problem and then force myself to solve it without relying on "memorized solutions". I have to actually think and use the resources at my command. If I wanted to block a round house kick on this side, in this position, what would I have to do to get it done? Then I'd experimentally test it, while using physical senses as a feedback. If the movement has problems, I isolate the problem down and use slow form repetition cycled with normal speed reps, to work out the knots. Once I believe I have it down, I reset everything and then repeat the visualized problem, except now I trigger only one intent/thought: block the kick. I then test it by moving into different angles and positions. In the process of doing other things, I'll immediately think "block incoming round house kick on this side" and see if my body responds adequately. IF it does not, back to the repetition drawing board. If I hesitate and start "looking" at things or "thinking", then I know there's a block somewhere. That block needs to be ironed out before full practical usability can be considered. 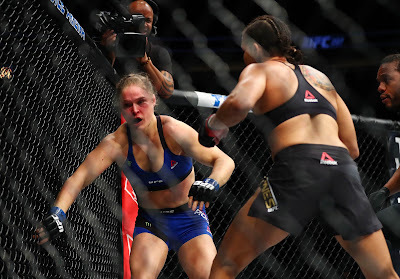 A higher intensity (final) test would be limited/free sparring. Those are harder for me to arrange however. A limitation on the skills of training partners more or less. 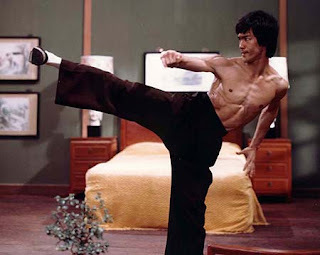 As Bruce Lee found out, if you want to get better, you need to test yourself against the attacks and skills of truly exceptional people. If they aren't good enough, then he taught them only enough for them to be good enough to spar against. Problem is finding those people and training with em. There's not much I'm getting if the person cannot throw a round house with sufficient speed, power, intent, and immediately return to balance. The lower level user is getting a lot of experience in targeting a moving target, but I'm not getting as much benefit. In that sense it's pretty good that martial arts in the US is so "specialized" on a few things/fields. When a user can create these training paradigms, problems, and solutions by themselves, for themselves, then I think the issue of thinking outside the box is less of an issue. Whatever they come up will be something they decided they need work on. It doesn't need to be similar to what I want to work on. The process, the training methodology, is all important, not the specific goal itself. I would be curious as to whether your students could create a form out of a free form exercise, done completely by them. They plan out the floor board, the applications, the techniques, and the sequence for movement. Create the problem, then solve the problem.